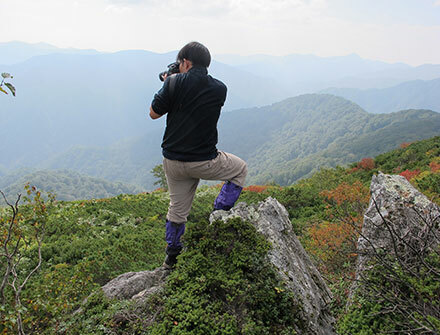 Aomori prefecture have many beautiful nature place and good fields for ecology studies exist close to us. There are full of study subjects. 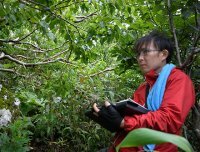 Let’s study plant ecology together. 1) The evolution, morphology, distribution and life history of “spring ephemeral” plants. 2) The effects of climate change on plant populations and vegetation of Pseudo-Alpine Zone in the Shirakami Mountains. 3) Conservation study of local plants. Yamagishi H., Ishida S (2017) Meteorological observation at the pseudo-alpine zone in Mt. Shirakami-dake, -2016-. Bulletin of the Shirakami Institute for Environmental Sciences, Hirosaki University, SHIRAKAMI-SANCHI, 6; 23-31. Yamagishi H., Kusakabe G., Chiba I., and Ohno M., Ishikawa (2016) List of Plant Specimens Collected in the Shirakami Mountains (2) – Division Gymnospermae and Angiospermae. Bulletin of the Shirakami Institute for Environmental Sciences, Hirosaki University, SHIRAKAMI-SANCHI, 5; 34-56. Y. Ishikawa, K. Yabe and H. Yamagashi (2015) Establishment and growth of the Alnus japonica forest at the northwestern coast of Lake Utonai in the southern area of Ishikari Depression, northern Japan Vegetation science, 32(2) ; 81-94. Tomimatsu H., Yamagishi H., Suzuki S.N., Sato C. and Konno Y. (2015) Long-term dynamics of small fragmented forests inferred from patterns along a gradient of fragment size Ecological Research, 30(6); 1057 -1064. Yamagishi H., Kusakabe G., Chiba I., Ishikawa Y. 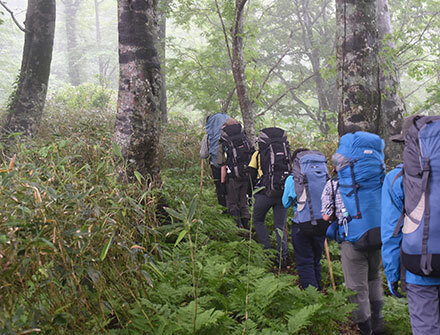 (2015) List of Plant Specimens Collected in the Shirakami Mountains (1) – Division Pteridophyta Bulletin of the Shirakami Institute for Environmental Sciences, Hirosaki University, SHIRAKAMI-SANCHI, 4; 34-41.